Weybridge is a town by the River Wey in the Elmbridge district of Surrey. It is bounded to the north by the River Thames at the mouth of the Wey, from which it gets its name. It is an outlying suburban town within the Greater London Urban Area, situated 7 miles (11 km) northeast of Woking and 16 miles (25 km) southwest of central London. 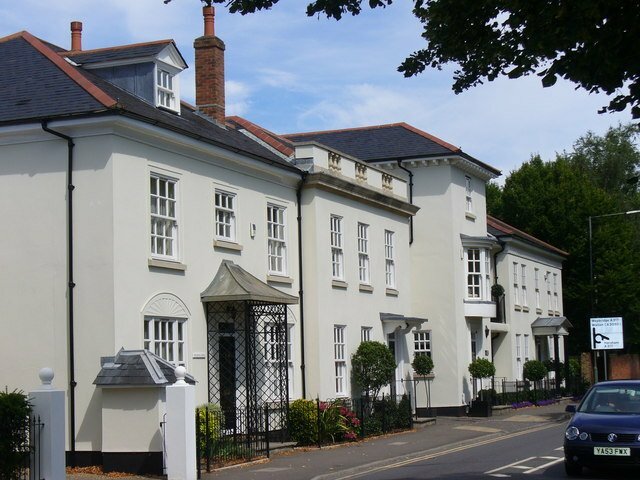 Real estate prices are well above the national average: as of 2008, six of the ten most expensive streets in South East England (defined as the official government region, which excludes Greater London) were in Weybridge. Weybridge, based on its parish bounds, forms three wards of the United Kingdom or can be divided into the Thames Street and town centre area, the Queens Road area on top of Monument Hill, most of Brooklands and St George’s Hill. 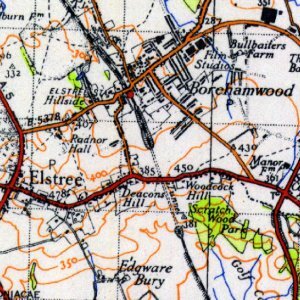 Within the post town, rather than Weybridge’s other boundaries is Oatlands or Oatlands Village. Until the late 18th century Weybridge was as a very small village with a river crossing, seed milling to make flour and nurseries would continue to provide the major source of home-grown income until the 20th century but no tanneries, major coaching houses, shops, markets, forges or gunpowder works are documented for example in the medieval period. The earliest monuments on the tower wall of St James’s C of E Church are 15th century plaques, and the Church was rebuilt in 1848 with a south aisle added in 1864. Weybridge railway station was opened by the London and Southampton Railway in 1838. 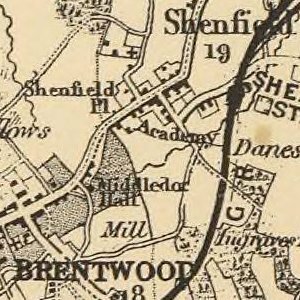 After the station was opened, development of what was until then only a village began and gradually Weybridge became a town. Large houses were built on St George’s Hill from 1911 by local builder and developer Walter George Tarrant of Byfleet.